A fantastic new toy is expected to overtake fidget spinners to become the next big craze - a fidget STICK. Mokuru is weighted wooden stick, about the same size as a cricket bail, and is being touted as the biggest toy to hit Britain since loom bands - because it's easy to play with but fiendishly difficult to master. Millions of children and adults in Japan and China are already addicted to playing with the Mokuru, but today (Fri) marks the first time they are on sale in the UK. The £9.99 toy allows users to flip and spin on any flat surface - just like the bottle-flipping craze. This simple handheld wooden toy was originally designed to test an individual's balance and focus - but now it is testing the dexterity of fast fingered flippers everywhere. Designer Masakazu Node spent years creating the satisfying beech wood toy, which has rubber stoppers on the end to help it stand up. The Japanese inventor said: "Beginners can simply tip over the toy, let it flip and catch it with their fingers or flip it to draw a triangle or square. "Mokuru masters can use five of them at once with one hand. "Claimed to help focus and concentration, imagination and alleviate stress, Mokuru fits into your pocket." The UK Distributor for Mokuru is Leicester based company Peterkin, and it will be in sale in Smyths toy stores. 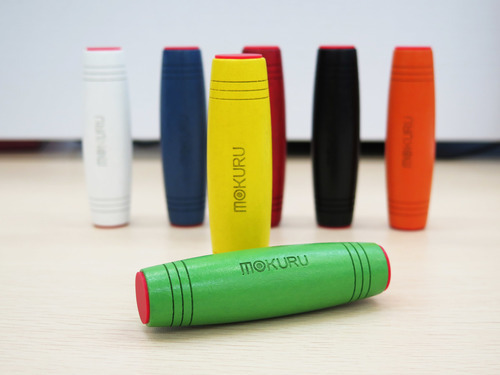 Managing Director Andrew Moulsher said: "Spinners were very popular but we think the UK will go mad for Mokuru based on the reaction from other countries. "We are gearing up production to meet demand and are already getting increased orders." This press release was distributed by ResponseSource Press Release Wire on behalf of Pittilla Public Relations in the following categories: Children & Teenagers, Leisure & Hobbies, Women's Interest & Beauty, for more information visit https://pressreleasewire.responsesource.com/about.